Harold Meeker was born on 13 March 1939 in Transfer, Pennsylvania. 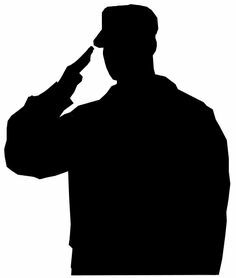 He entered the service on 18 January 1964 and trained as a Mechanized Infantry Officer at Fort Benning, Georgia. By 1967, Captain Meeker was assigned as an Assistant Battalion Advisor to the 1st Battalion, 16th Infantry Regiment, Army of the Republic of Vietnam. On 26 March 1967, while occupying static defense positions near the village of Can Muoi, the battalion was attacked by a numerically superior Viet Cong force. Realizing that the battalion was without proper defense in several areas of the perimeter, Captain Meeker left the security of the command bunker to assist in organizing a reserve force of battalion staff personnel. Repeatedly exposing himself to intense enemy fire, Captain Meeker deployed this group as a reaction force, reinforcing weakened gaps in the perimeter whenever breaches were made by the Viet Cong. Throughout the hours-long battle, Captain Meeker repeatedly, with no thought to his personal safety, moved about the area assisting in the defense of the compound. As the enemy withdrew, Captain Meeker assisted battalion medics in first aid efforts. As a result of Captain Meeker's quick marshalling of a viable reaction force, the battalion was able to successfully counter repeated enemy assaults. Captain Meeker's heroic efforts earned him the Bronze Star Medal with V Device for Valor. Several months later, while occupying a base camp near the city of Cao Lanh, the battalion was attacked by two companies of local guerrillas and a Viet Cong Main Force battalion utilizing intense mortar, recoiless rifle, and rocket fire. Assassin squads placed in the camp were activated simultaneously with the attack and the assaulting enemy forces rapidly broke through portions of the perimater defense. Captain Meeker, now the Advisor to the battalion, left the command post and immediately moved through the savage fire to rally and assist the Vietnamese soldiers in countering the attack and to rescue wounded soldiers. When it was learned that a group of wounded Vietnamese soldiers were trapped behind Viet Cong occupied positions, Captain Meeker organized a rescue element. Heedless of the withering mortar and automatic weapons fire, Captain Meeker led an assault on the enemy positions, breaking through, and successfully recovered the wounded. 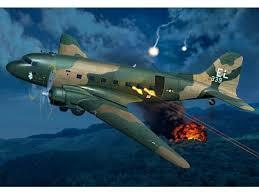 On arrival of supporting C-47 (Spooky) aircraft, Captain Meeker volunteered to position himself around the perimeter to aid in adjusting fire and illumination. Repeatedly, with absolute disregard for his personal safety, he ran from point to point locating targets and coordinating the aircraft's fire. Throughout the hours long battle, Captain Meeker unhesitatingly and at great risk, exposed himself to the fierce hostile fire to render advice and aid to the Vietnmese soldiers. His exceptional courage and superb employment of all supporting resources resulted in saving numerous lives and prevented the enemy's attempt to overrun the compound. For his gallantry in action on this date, Captain Harold Meeker was awarded the nation's third highest valor award, the Silver Star. Major Meeker retired from the US Army in 1985 and resides in the Huntsville, Alabama area.